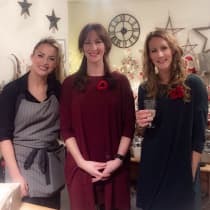 Camperdown Lane is an independent homewares and interiors shop located in Hereford and run by sisters Michelle Nugent, Sarah Nugent and Kate Hollingsworth. The shop offers an inspirational space in which customers can find beautiful and practical interior accessories, homewares and gifts. They source their products from both small designers and leading manufacturers and aim to help each customer find products to make their home stylish and comfortable. "We believe that it is our responsibility as retailers to create a place that is enticing and desirable for customers to visit. It is not enough to sit back and expect people to come, we have to offer them something more."